Hi, Natural sunlight makes this spacious top floor 3 bdr apartment a pleasure to live in. We are close to the beaches (Coogee, Maroubra), The city is 5k away and even closer to the cool parts of Sydney like Newtown and Redfern. The airport is only one train station away. We are situated in a neighbourly and quiet cul-de-sac next to the famous Eastlakes golf course, with windows from every angle sharing views of the Southern Highlands, glimpses of the Sydney CBD and more. Located one minute from the local shopping centre (ALDI, Woolworths, Delis and Cafes) and various public transport options. Our home is also baby friendly (Cot, Toys, etc) The master bdr is extra large, while the other available rooms are mid sized (i.e fits a queen bed, storage for clothes and desk space). If you have a young child, we can leave the cot set up for you. The kitchen is well equipped, good sized dining table in dining area. A TV (with Foxtel &amp; Netflix) is in the lounge, there is some decent art on the walls , a play area for the little one and a balcony to enjoy the calm of the lush trees. 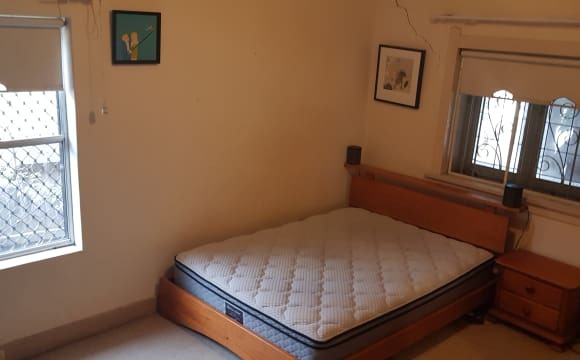 This flat has a very calm and positive energy and we would like to find someone to enjoy our home for the time we are away. Hope to hear from you. Thanks for reading. 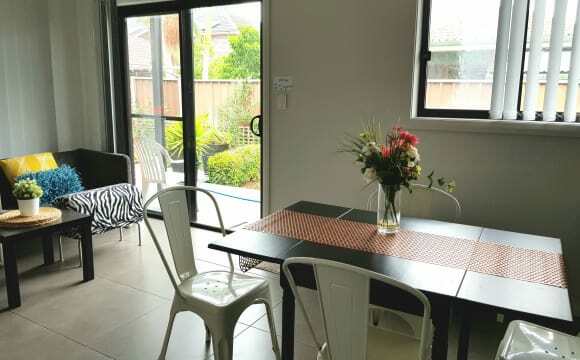 Hi I looking for someone to take advantage to live close to Airport and close to city and 2 minutes walking distance to Aldi, Wolies, Eastlakes shopping center. Direct Bus available every 15 Minutes.I use to live with my sister now she got married and have space empty for someone to fill it.I am looking for full time work person and I hope any one who like to stay at my place more then welcome and promise you will love to stay here over the period of time. Thanks. Hi...i am looking for someone to share my house, who is fun and has lived in a similar situation before. You must be clean and considerate of others and their privacy as some us are still at University. This house has plenty of space and generous bedrooms. We have everything at our doorstep including Eastlakes Shopping Centre, UNSW, Westfield Eastgardens, Sydney Airport, Mascot Train Station and Buses for City Access. This house has been freshly painted with new carpet. It includes all Utilities and Unlimited Internet and furniture if required. Please email me at micar2194@gmail.com and send me your mobile no. so we can meet. 1 minute walk away from Eastlakes Shopping Center! 2 minutes walk from nearest bus stop. Also, a perfect location for UNSW students. About the Space: 2 large bedrooms with comfortable double beds -48” LED LCD TV in the living room -Bathroom complete with essential amenities such as bathtub, hot and cold shower! -UNLIMITED and FREE Wifi! -Laundry room includes washing machine and dryer. Eastlakes is a suburb that is a great area for couples, perfect for families, and convenient for business trips alike. Dotted with parks that have playgrounds and exercise equipments, as well as a basketball court close by, you have picked a great location to relax and maximize your trip. Newly renovated, furnished 2 bed apartment in Rosebery looking for flatmates. Flexible on price for the right person. 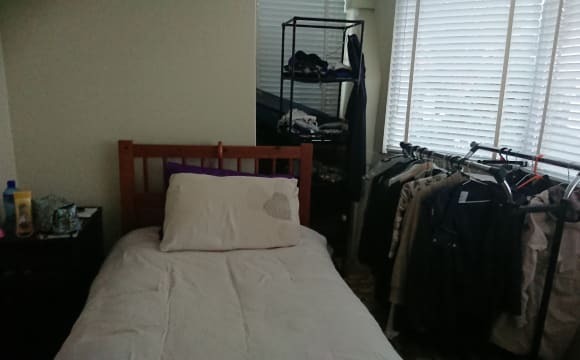 Bedroom 1 - furnished with built in wardrobe, king size bed &amp; mattress Bedroom 2 - furnished with built in wardrobe, queen size bed &amp; mattress Lock-Up Garage available for $20/week Renovated shared bathroom Brand new kitchen with separate fully equipped laundry room All bills included in rent. The flat is in a perfect location with a bus stop directly in front, Eastlakes Shopping centre (Woolies, BWS, Chemist etc.) 3 minutes walking distance, The Lakes Hotel &amp; Newmarket Hotel pubs down the road. Mascot station, Coogee, UNSW &amp; the CBD are all easily accessible by bus and car, refer to screenshots for proximity. 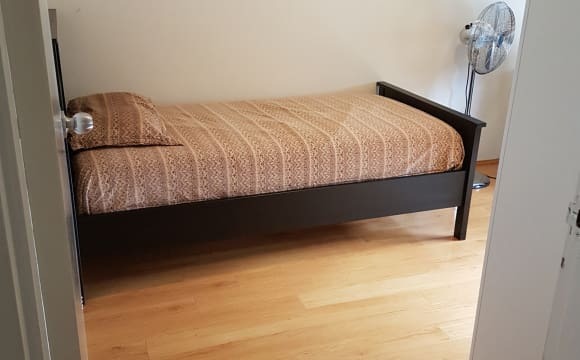 Single room and Double Room available in a modern apartment! 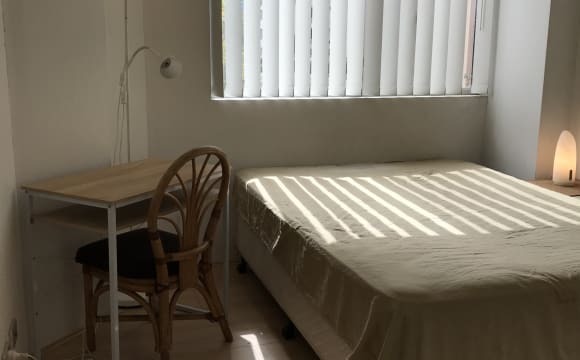 - Minimum 4 months stay - Bills included - Wi-Fi included - Cleaning once a week - Bus stop by the door - Supermarkets and shops just across the road - Easy access to UNSW - Students are welcome - Parking available for $20/week Message me for further information and inspection. 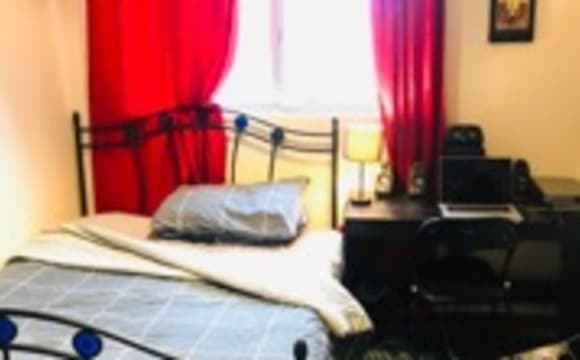 Single private room available in a share house in Kingsford. 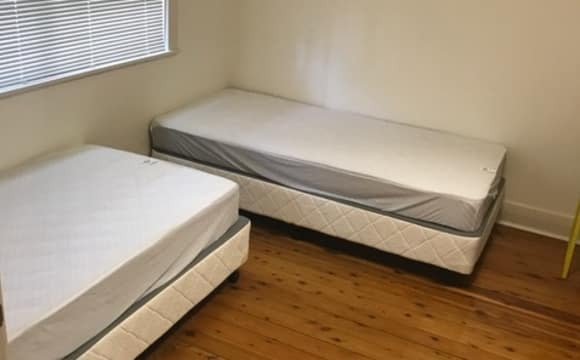 $200pw excluding bills &amp; unfurnished (no bed). Desk and drawers available. The house is spatious with two bathrooms, kitchen, dining area, living room, laundry area, garage, a shed at the back, garden, nice rooftop area with synthetic grass a good place to relax or do workouts, or have a BBQ. Lots of kitchen space. No loud noises/partying, everyone has different schedules and we try to be considerate. Eastlakes shopping Centre (with a Woollie's and an Aldi) at a 15min walk. 10min walk to UNSW lower campus. Bus stops nearby, with options for commuting to CBD, Mascot Station, Burwood, Bondi Junction. Close to Eastern Avenue and to Anzac Parade. Lots of Asian Restaurants and Stores on Anzac Pde. This is a beautiful big house with big backyard ideal for your 4-legged friend, sunbathing or maybe a pool? Hello Everyone!!! Attention! 🏡 We have 1 vacancie in a twin room for a GIRL Available in this NICE house located in Kingsford!!! 👉 We are looking for clean and organized people 👉 Non-Smoking 🚭 👉 Clean and Quiet environment. - 15 walking to the UNSW Please send us a private message Pls give more details when you txt messages 1. Gender 2. Nationality 3. Moving-in date I will check a vacated room and txt you asap. 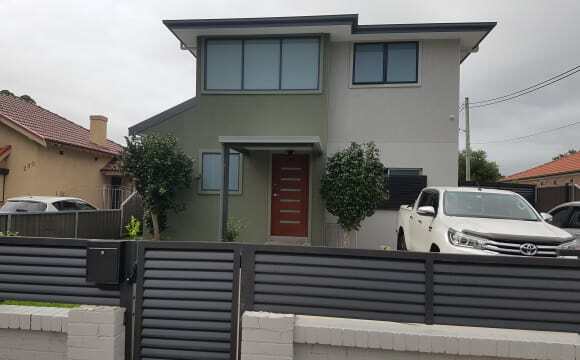 ***Newly renovated house, Close to UNSW, Taylors College, City bus at the door*** This is a 7 bedroom home. Currently there are 1 bedroom available. You will find this beautiful place located in the iconic suburb of Rosebery, very close to Sydney Airport and 10 mins away to some of Sydney’s most exciting attractions like The Grounds Of Alexandria and Fox Studios making this convenient, simple home ideal for students. 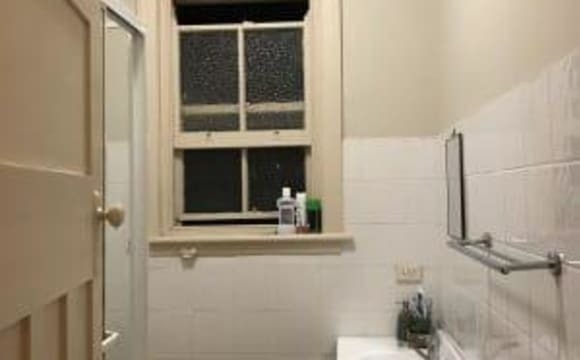 - Fully furnished - NBN broadband Internet - Open plan kitchen with all kitchen appliances - All bills are included in rent Feel free to text to arrange an inspection. The living space is abundant and the backyard is perfect for entertaining, as is the double living room. Combine that with a set of great speakers and a few chromecast audios and you're gonna have yourself a good time living here. Short walk to Anzac Pde shops/pubs, with buses to the city from both Anzac Pde and Gardeners Rd. 10 minute walk from UNSW. You can't go wrong. , stereos in lounge and kitchen, shared Spotify + Netflix, a 40" LED Television with AppleTV, dishwasher, coffee machine, glass stovetop + oven, huge fridge, and spare bikes. We have a large vege garden and eat plenty of fresh, homegrown + homemade food. Spanakopita with homegrown/made silverbeet + ricotta. Pesto with homegrown basil. Roasts, stir fries, pizza, and slow cooked Tex-Mex. Homemade muesli, salads, fry ups, Spanish omelettes, etc. If you'd like to join with us in share buying groceries and sharing meals, you can also avoid shopping and cooking all week (+ endless all those instant noodles + take outs). Our mandarin trees aren’t fruiting yet but they're giving lush front porch privacy. The orange tree is giving shade + bitter oranges and our limes are few but sweet and we’ll soon plant a new passionfruit. Current homegrown includes pumpkin, shallots, leeks, basil, rosemary + Kumera (sweet potato), rocket (arugala) and cherry tomatoes. We're looking for someone engaged, engaging and socialised. If you like to cook a little that would be great too, and we'd love it if you'd do a little housework. Ideally we'd like someone to settle in for a long stay; but maybe it would be great to meet you and have you move in for a few months, so if you like the sound of our place, please get in touch. Price for Rent (including bills) is for a single person. The cost for a couple would be higher. And it is a non-smoking property so we're seeking non-smokers. We hope to speak to you soon. 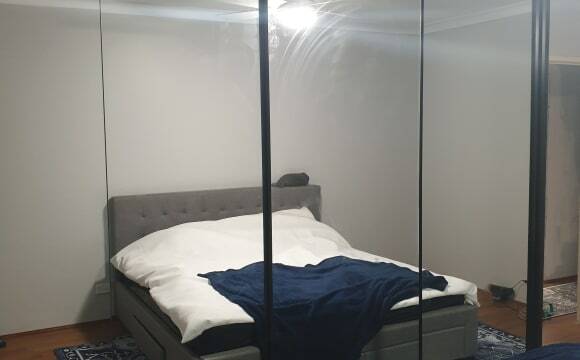 Huge private room with large built-in wardrobe in huge house. 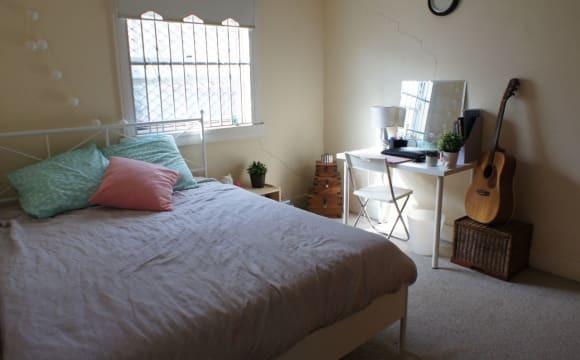 Room can be furnished ($280, details below) or unfurnished ($260). Rent also includes Foxtel and internet as well a weekly professional cleaner vist. The house contains well furnished shared area's including Foxtel and wireless internet. Large kitchen with gas appliances and ample storage. The property is close (200 metres) to public transport and only 10 minutes from Sydney CBD, UNSW and UTS and only 15 minutes from Maroubra beach. Local shops are also only a 5 minute walk away. Rent also includes Foxtel and internet as well as cost of weekly house cleaner. ________________________________________________________________________ If unfurnished is preferred, room will be cleared of non-desired items. Furnished: The room includes pay television, a big study desk and queen bed, bedside table. 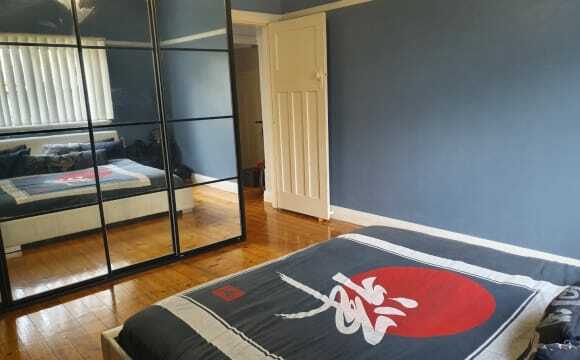 Spacious bedroom with in-built wardrobes to rent in share house. The house contains well furnished shared area's including Foxtel and wireless internet. Large kitchen with gas appliances, ample storage and we have a professional clean come weekly. The property is close (200 metres) to public transport and only 10 minutes from Sydney CBD, University of NSW and UTS and only 15 minutes from Maroubra beach. Local shops are also only a 5 minute walk away (including Messina, Zeus etc).. Rent also includes Foxtel, internet and professional house cleaning. We're looking for someone clean and easy going as current housemates all get along well. 2 rooms in a granny flat are available for rent in Mascot area. Perfect for young professionals and students. This clean and tidy property is close to public transport, the airport, UNSW, Westfield Eastgardens, the city centre, beaches and parks. 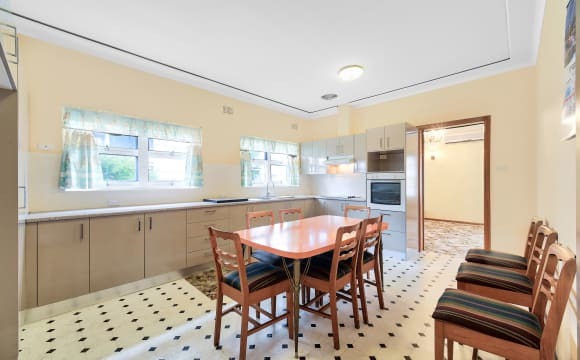 Direct bus to UNSW is only 3 minutes walking distance from this property. You’ll love this place because of the neighbourhood, the cosiness and the handy centralised location. Many nice restaurants in the area too.. You will be sharing with 2 other flatmates. Plenty of off street parking in the area. All Bills are included. A room in this modern renovated house will become available in early May. 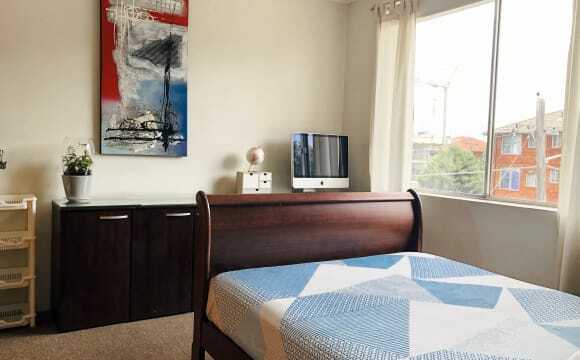 - Room is fully furnished with bed, desk, chair, wardrobe, tallboy - Room is a large room with lots of sunlight and space to make your own - Large sunny backyard with porch available for use - 2 bathrooms and 3 toilets - All-female household, sharing with students or young professionals - Close to many shops and restaurants on Anzac Parade, 5 mins walk to bus stop - Short bus trip to Bondi, city, airport - Walking distance to UNSW - Would suit friendly UNSW student or young professional - Must be clean and tidy, this is a quiet household - All bills included in rent - Cleaner comes in once a week to tidy shared areas, also included in rent Please message me to arrange an inspection, thanks. Student Accommodation Fully Furnished Accommodation - All bills + Internet Included. Great accommodation close to the City and Universities of NSW and Sydney and great value for money. Would suit students or those on working holidays. Accommodation features: - Fully furnished building with private rooms - Shared kitchen and laundry facilities - All utility bills included in rent - Wireless Internet - All kitchen utensils &amp; equipment provided - Common living areas and outdoor courtyard Easy going house with a good mix of people from all over the world. Fun, laid back atmosphere. Minimum 3 month stay. It's only a 4 minutes walk to UNSW. All bills are included and there is unlimited access to Internet. The house is very clean and is fully furnished. For private room ,I charge $350 per week with all the bills included. 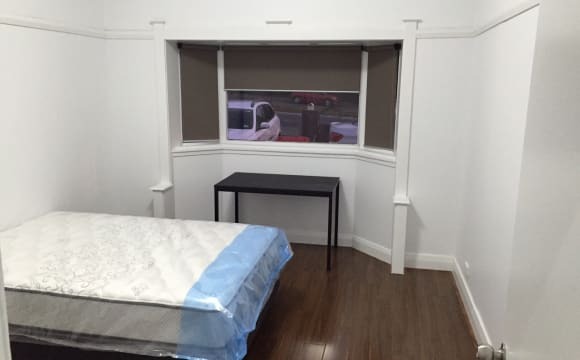 The room is also perfect for couple but it will be different rent. I am very flexible with furnitures 😊 This house 🏡 is perfect for UNSW students. Self-contained granny studio , bed room furnished with double bed and have a separate small study room. Very close to public transport and all amenities. 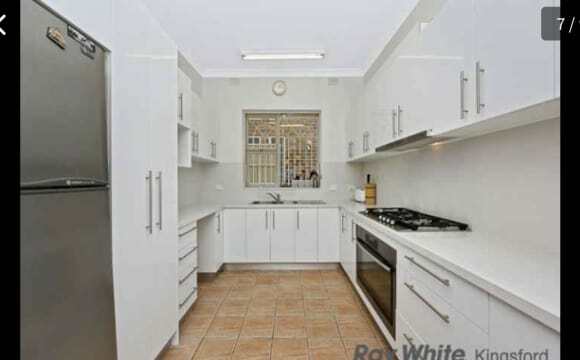 Walking distance to UNSW. . please fell free to contact me for an inspection.